Planning to seek admission into a health professional school after graduation? Choose one of Post University’s pre-health tracks (such as pre-med or pre-vet) to fulfill your prerequisite courses, in addition to the required courses for your degree program. Regardless of your major at Post University, you can declare a pre-health track and prepare for your next step into medical, veterinary, dentistry, pharmacy, optometry, podiatry, physician assistant, physical therapy, and other related health professional schools. Some health professional and pre-med programs also recommend or require courses in biochemistry, psychology, sociology, microbiology with laboratory, anatomy, and physiology with laboratory, genetics, and cell biology with laboratory. 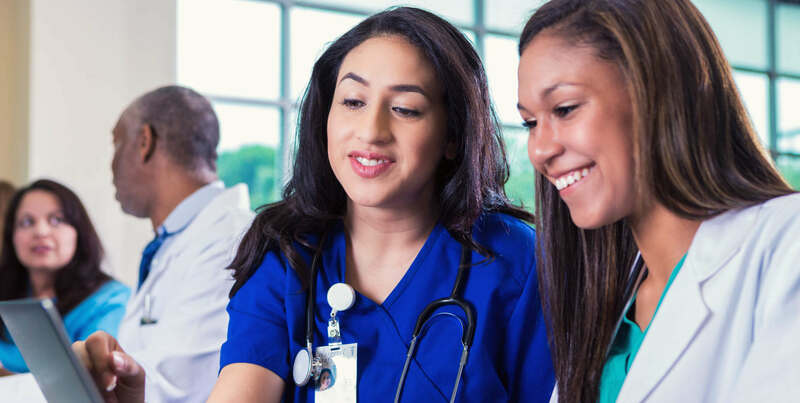 A pre-health advisor will help you research the requirements for your particular school(s) of interest and design a course plan that meets your needs. They will also discuss internships and other experiences across Connecticut that can help you succeed in your chosen profession. At Post University, we take a personal interest in your goals and will be there to support you throughout your educational journey — from enrollment through graduation. Begin your path to a career in one of the many health careelated fields. Call 800.660.6615 today to enroll in the pre-health track of your choice. *The pre-health tracks are available to Main Campus students.